Introduction by Pia Soli. Interview with Sir Roy Strong. Texts by Adriana Mulassano, Cristina Brigidini, Suzy Menkes and Rosa Maria Letts. London. Victoria & Albert Museum. October 1985. Pictorial card wrappers, with matching black card slipcase. 56 pages. Illustrated throughout in colour. 290 x 220mm (11½ x 8¾"). 0.4kg. . Italian & English. Very good; some light wear to a delicate publication, some rubbing to edges of black card of boards and slicpase, some light creasing to surface, a few small marks to slipcase. 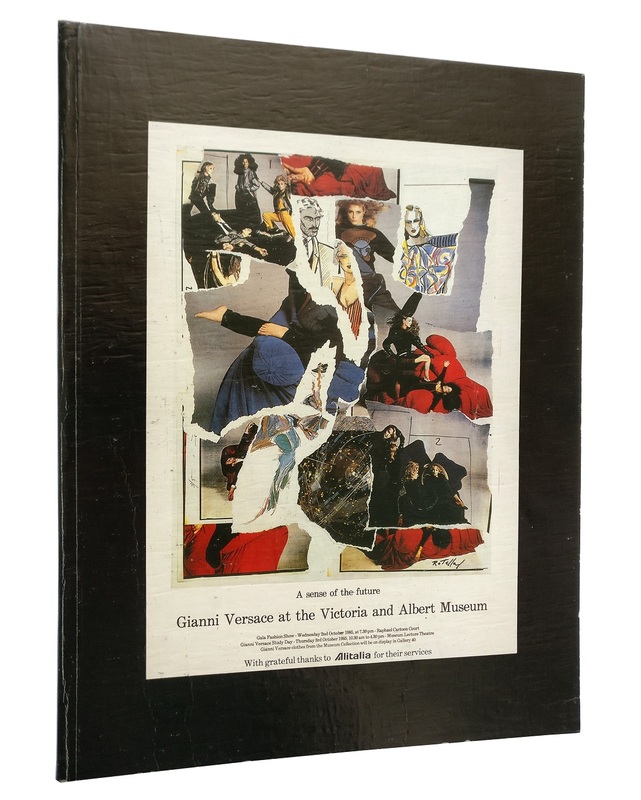 The scarce publication created for the first exhibition of Gianni Versace's designs held in Britain. 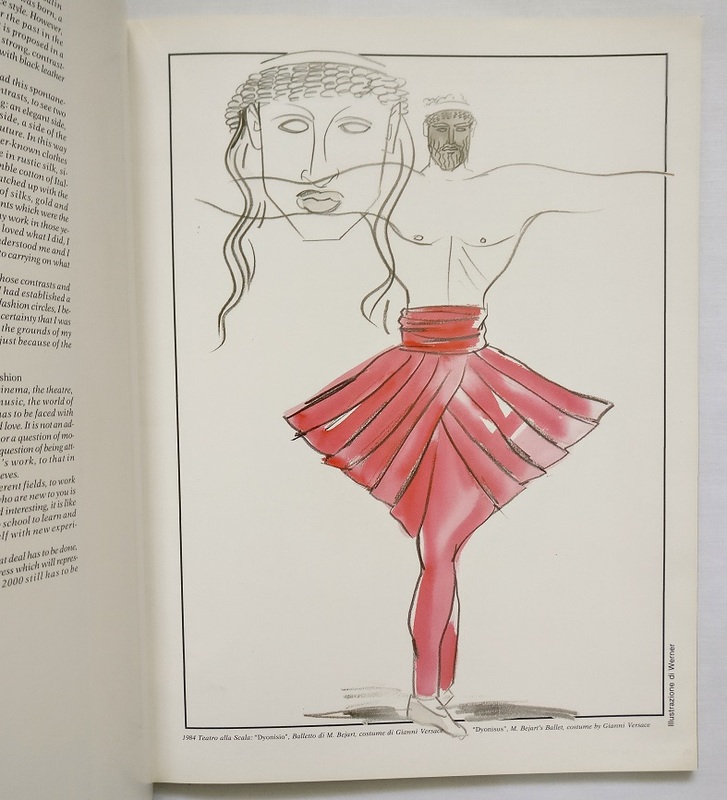 The Victoria and Albert Museum show included a gala fashion show and a presentation by Versace himself, a summary of which is included in the book. 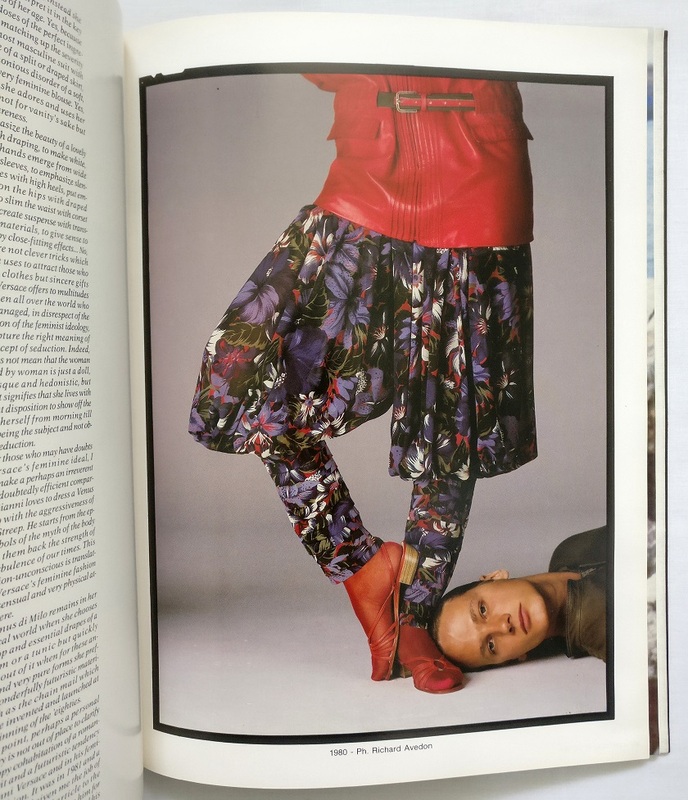 The stylish book examines his clothes and outlook through words and pictures.